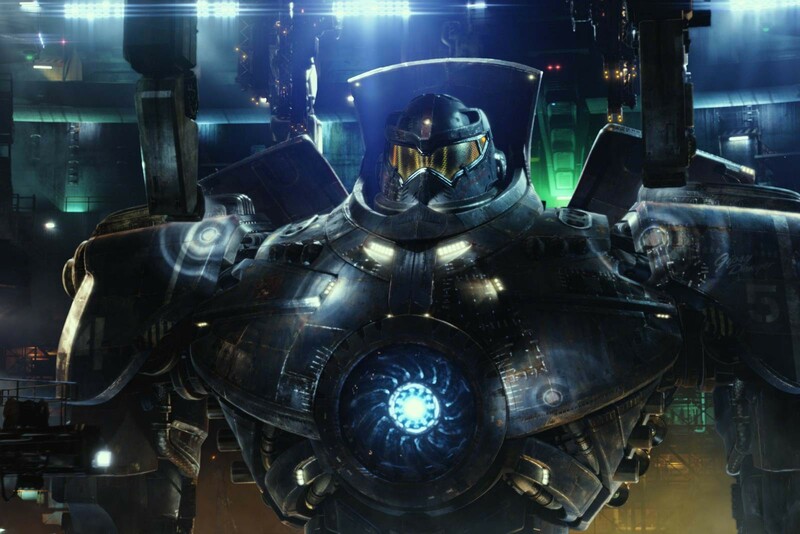 The movie Pacific Rim 2: trailer, clips, photos, soundtrack, news and much more! Do you have what it takes to fight against the alien invaders? Do you think you could pilot a Jaeger? Rise up then and join the Jaeger uprising! Mankind shall prevail! Let’s send those goddamn aliens to hell! Usually I don’t got to IMAX because it’s too expensive. But well, I could consider it this time around because giant robots battling giant monsters from another world sure must look better on a giant screen. What do you think? This new generation of Jaegers will kick the hell out of those goddamn alien kaijius! Why do they still need humans to pilot those mighty robots? Shouldn’t they rely on AI wizardry instead of puny humans? Release date: March 23, 2018. When otherworldly kaiju invade earth what do we do? We fight, hell yeah! Earth is ours. Those goddamn alien invaders will learn it the hard way! The second installment in the Pacific Rim franchise will open in theaters on March 23, 2018. Those alien invaders have evolved since they first tried to take over our dear planet. But don’t worry so did mankind’s jaegers! The film is starring John Boyega, Scott Eastwood, Rinko Kikuchi, Charlie Day, Burn Gorman, Cailee Spaeny, Adria Arjona, and Jing Tian. Will you joint the Jaeger uprising? Who do you prefer: John Boyega or Scott Eastwood? Why? Release date: February 23, 2018. Which one is your favorite jaeger? The film will hit theaters on February 23, 2018. Let’s more details will be revealed soon! The film is directed by Steven S. DeKnight based on a script by DeKnight, Emily Carmichael, Kira Snyder, and T.S. Nowlin from a story by Guillermo del Toro. The release date of the movie Pacific Rim 2 Uprising is set to February 23, 2018. So far the cast includes Scott Eastwood, Ron Perlman, Tian Jing, Max Martini, John Boyega, Levi Meaden, Adria Arjona, Nick E. Tarabay, Mackenyu, Karan Brar, Rahart Adams, Cailee Spaeny, Zhang Jin, Wesley Wong, Lily Ji, Chen Zitong, Lan Yingying, Qian Yongchen, Xiao Yang, and Kim Jeong-Hoon. The release date of the movie Pacific Rim 2 Maelstrom is set to February 23, 2018. Details of the plot of Pacific Rim 2 have surfaced online. According to the online rumor, the sequel will be set a few years after the events of the first film: it will show us how the world and the Jaeger technology evolved without the immediate threat of the Kaiju. Charlie Hunnam and Burn Gorman are also said to be returning as Raleigh Becket and Gottlieb respectively. Glad to hear that those two will be back, but here I hope that Rinko Kikuchi, Ron Perlman , and especially Charlie Day will also reprise their roles. Anyway, stay tuned with us for details about Pacific Rim 2! The release date of Pacific Rim 2 is set to April 7, 2017. Update – The film is tentatively titled “Pacific Rim Maelstrom”. Do you have any suggestion regarding the plot of Pacific Rim 2? Share your thoughts below. Anyway, stay tuned with us for more details about Pacific Rim 2!